A mouse infestation in your home or business can cause a host of problems for your property and those within it. Mice are prolific chewers and breeders, which means they can and will eat through a number of possessions, all while doubling their numbers with each passing month. Mice can also carry and transmit a number of diseases to humans and pets, including Hantavirus pulmonary syndrome, Leptospirosis, Salmonellosis, and many others. To make matters even worse, a recent study has shown that mice in the New York City metro area are beginning to carry bacteria resistant to common antibiotic drugs. In this guide, our experts here at EcoClear Products discuss the ramifications of this new bacteria strain, and why mouse control and prevention is now more important than ever. We also provide information on our eco-friendly and highly-effective MouseX® rodenticide—great for indoor and outdoor mouse control in both homes and businesses. Read on to learn more, and take control of your mouse problem with MouseX® today! Hantavirus: Hantavirus is a life-threatening disease most-commonly carried and transferred by deer mice. The virus is found in rodent urine and feces. Early-stage symptoms include chills, muscle aches, and fever. Symptoms can quickly worsen to dry coughing, headaches, shortness of breath, nausea and vomiting and general malaise. Salmonella: Salmonella is a bacteria food-borne illness. It often caused due contamination of food by rodents such as rats and mice. Common symptoms that are developed by people who have contracted salmonella, include fever, abdominal cramps and diarrhea that last for up to a week. Lymphocytic Choriomeningitis (LCMV): Lymphocytic Choriomeningitis (LCMV) is a rodent-borne viral disease that causes serious neurological problems, including aseptic meningitis (inflammation of the meninges that surrounds the brain and spinal cord) and encephalitis (inflammation of the brain). It is primarily carried and transferred by the house mouse. Got mice? You’ll want to get rid of them as quickly and effectively as possible. As you may have already guessed, a mouse infestation on your property places those under your roof at risk to contract several bacterial and viral diseases. 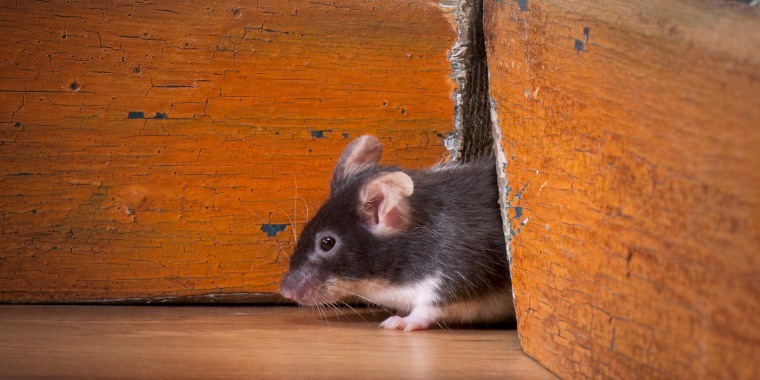 For homeowners, mice can pose serious health risks to kids, spouses, and pets alike. For business owners, mice can transmit diseases to employees and clients, all while causing major damage to property and reputation. In short, stopping mice in their tracks will help protect your property and those within it. Learn how our eco-friendly and highly-effective MouseX® rodenticide can help you control and prevent mice in your home or business. When dealing with a mouse problem on your property, you want to pick and extermination solution that really works. Ideally, you also want it to be safe to use around people, pets, and the environment at large. Formulated from all-natural ingredients, MouseX® is a 100%-biodegradable rodenticide that’s completely safe if consumed by people, pets, or wildlife at appropriate doses. Best of all, MouseX® is highly-effective and luring and exterminating mice in the most humane manner possible. MouseX®’s all-natural formulation attracts mice through irresistible smells and tastes; then, upon ingestion, active ingredients coat the stomach lining of the mouse. This blocks all communication between the stomach and the brain, prompting the mouse to stop eating and drinking. Dehydration sets in, the eventual circulatory failure and death. For the mouse, the process feels like nothing more than falling asleep. Active ingredients in MouseX® also catalyze a mummification process of the mouse’s body upon ingestion. This helps reduce decay and odor by as much as 90%. Ready to invest in MouseX® for eco-friendly and highly-effective mouse control and prevention on your property? You can find MouseX® Pellets and MouseX Ready Trays™ available to order at most major online retailers. You can also shop MouseX® products at participating EcoClear Products retailers across North America. Use our Store Locator to find a store near you!